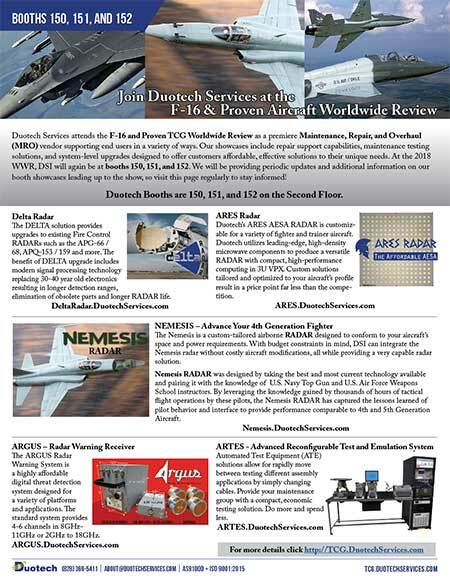 Duotech Services attends the F-16 and Proven TCG Worldwide Review as a premiere MRO vendor supporting end users in a variety of ways. 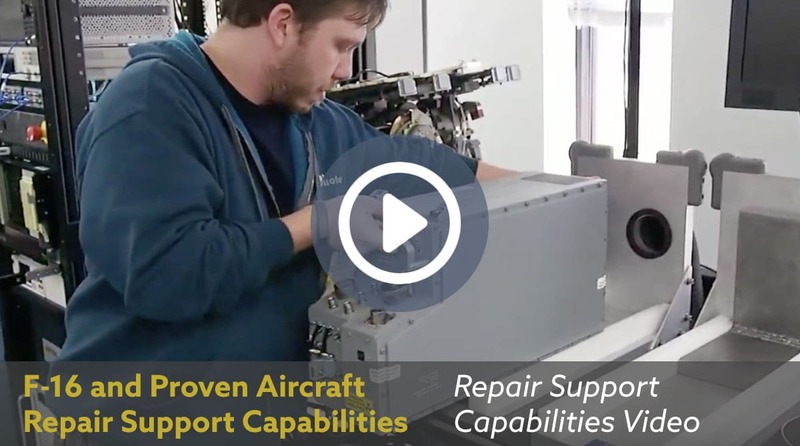 Our showcases include repair support capabilities, maintenance testing solutions, and system-level upgrades designed to offer customers affordable, effective solutions to their unique needs. At the 2018 WWR, DSI will again be at booths 150, 151, and 152. We will be providing periodic updates and additional information on our booth showcases leading up to the show, so visit this page regularly to stay informed! Duotech’s foundation for success is rooted in our ability to successfully and sustainably repair proven electronic systems for customers worldwide. Learn more about Duotech’s repair support capabilities. Duotech Services’ support repair capabilities for the F-16 Fighting Falcon, F-5 Tiger II, and other proven aircraft Military Electronics Repair Services Providing Defense and Military Services reliable, cost-effective component life cycle solutions for electronic, mechanical, and electromechanical systems.